Hawkesbury's Horizon…What Do You See? Hawkesbury's revitalisation initiative - Hawkesbury Horizon - will initially focus on the larger towns of Windsor, Richmond and North Richmond followed by a review of some of the smaller key towns. The project is just kicking off and we want to get the community involved and find out what it is you see in the future…. looking to the horizon. The Hawkesbury Horizon Initiative Project Team have had a very busy six months. We have been talking to lots of different stakeholders and gathering Big Ideas about what people see is on the horizon for the Hawkesbury. Our recently prepared third newsletter talks about how we gathered 350 Big Ideas from the community, the technical investigations the team are currently doing and what the next steps are. Thank you to all those who attended our display at the Hawkesbury Show this year. We really appreciated the discussions we had with over 200 people about the Hawkesbury Horizon Initiative. We are very grateful to the 147 people who took the time to contribute their BIG idea for the Hawkesbury. There was also an opportunity for people to vote on their favourite ‘Hawkesbury Superhero’. The Hawkesbury Superheros were designed at the Youth Summit a few weeks ago by 40 youth from local high schools. More than 150 votes were received for the Hawkesbury Superhero at the Show. 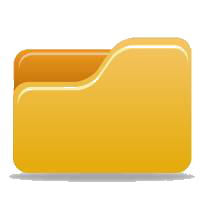 See the Document Library on this page for the latest Council report. Stay up to date with what is happening with the Hawkesbury Horizon Project by reading the Newsletters in the Document Library on this page. You will also find the latest Council discussions and decisions about this exciting project for the revitalisation of the towns of Windsor, Richmond and North Richmond here. overwhelmingly people wanted the Hawkesbury to be known as a great place to raise a family.